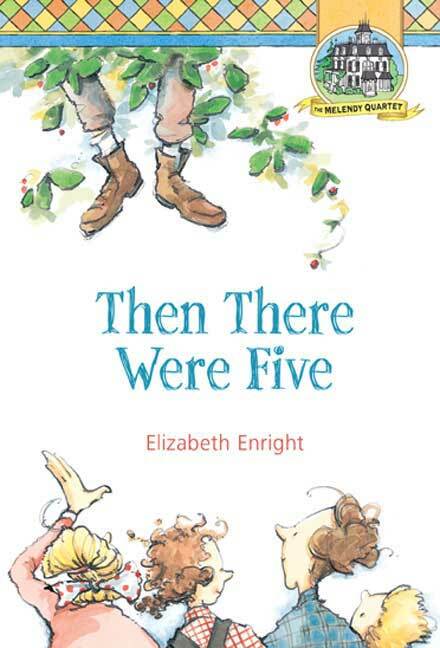 Then There Were Five, by Elizabeth Enright (Listen & Live Audio, 2004). Although written 70 years ago, this story of the four Melendy siblings' summer adventures in the countryside captivated my girls. Several elements were so old fashioned that I could only describe them by hearsay (telephone operators that connected and listened in on calls, horse and carriage rides, war rations), but the story of the siblings embarking on summer projects, befriending a boy with an abusive cousin, and figuring out the meaning of courage and friendship was timeless. I liked the old-fashioned touches that reminded me of a more innocent era (for example, the extent of the swear words are "Jeepers!" and "Golly!"). The girls loved this so much we are now going back to the beginning of the series and listening to the rest of the books. 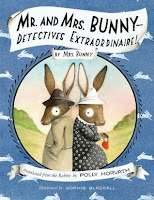 Mr. and Mrs. Bunny, Detectives Extraordinaire, by Polly Horvath (Listening Library 2012). This is the improbable story of Madeline, a girl who relies on Mr. and Mrs. Bunny, two amateur bunny sleuths, to help her rescue her clueless hippie parents from the clutches of wily foxes. This fun and cute story is told with deadpan wit, jokes that adults appreciate, and inventive touches (like Mr. Bunny's disco platform shoes that help him reach the pedals of his new car; dimwitted Marmot's love of garlic bread; or the shoes knitted by Mrs. Bunny from used dental floss). The only quibble I have is that the author, who reads the story herself, has a distractingly squeaky voice (after awhile, we got used to it and it fits with the story). 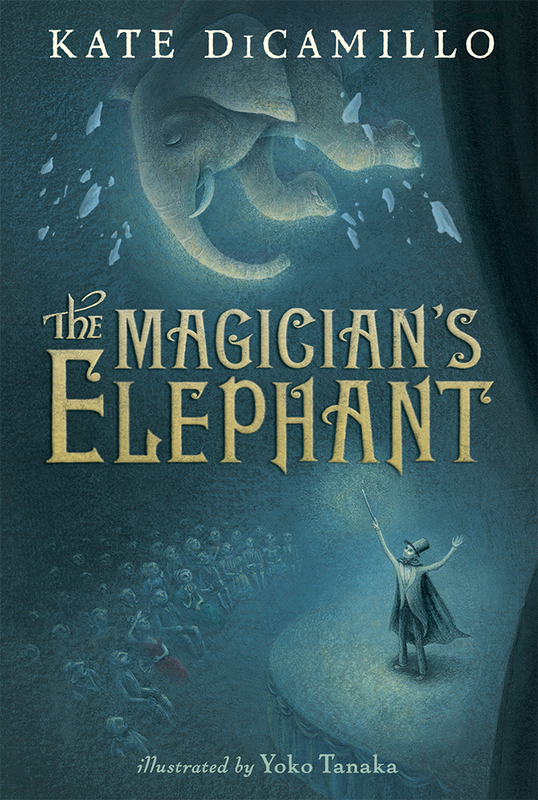 The Magician's Elephant, by Kate DiCamillo (Candlewick on Brilliance Audio, 2010). Peter, an orphan who lives a bleak existence in a small town somewhere in France, discovers from a fortune teller that his long lost sister may not be dead and that an elephant will lead him to her. So begins this dark and atmospheric story of love, loss, hope, and magic. DiCamillo weaves a magical, dreamlike story where different strands come together in a satisfying way. This book was great to listen to, because we could pause and talk about the mature themes, and the actress who read the book was incredible. Matilda, by Roald Dahl (Puffin Books, 2005). 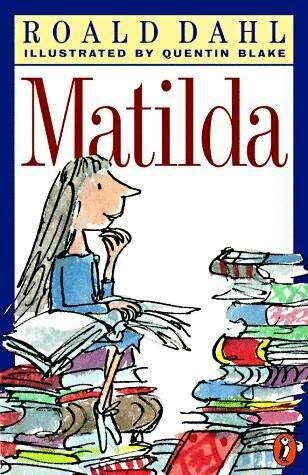 In this classic story, Matilda is an extraordinarily precocious and gifted five year old who endures her horrible parents, confronts and defeats the abusive school headmistress, Mrs. Trunchbull, and finds help and solace in her teacher Miss Honey. Like many of Roald Dahl's books, this story is by turns funny, caustic, hyperbolic, surreal, sad, and wise.